Visit our stores and create your dream home with our latest stylish colour range. Our in-store displays will leave you in no doubt as to which colour combination is just for you. When it comes to Price, Colour, Quality and Service there is no contest ….Warrior is streets ahead. 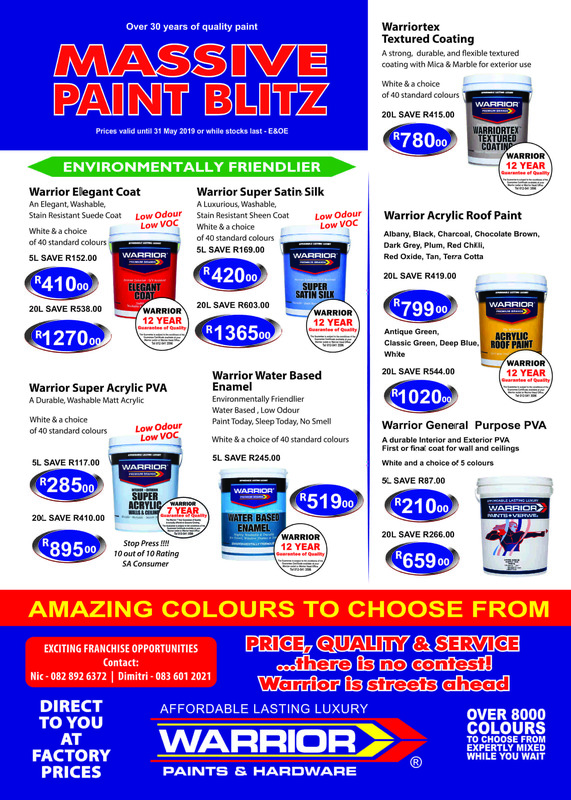 Warrior Paints is the one-stop paint shop for home owners and professional con- tractors. Whether you need eco-friendlier paint, acrylic paint, oil based decorative paints or primers and fillercoats – we’ve got all the top quality paint products you need. Browse our range of paint products or speak to one of our knowledgeable paint experts for more information.